In February 2011, after watching the late Libyan leader Colonel Muammar Gaddafi give an hour-long speech in an attempt to regain control, Israeli DJ Noy Alooshe acted quickly. 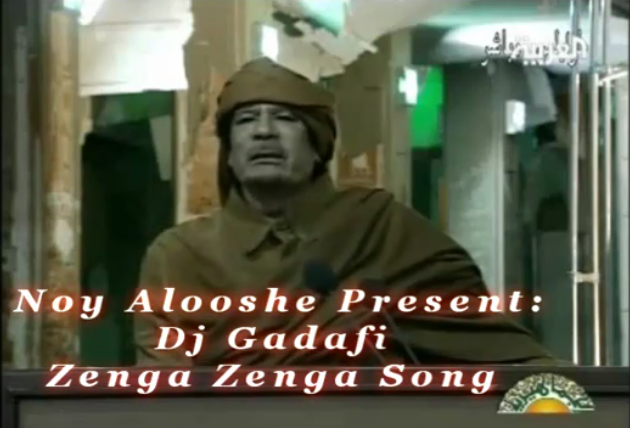 Using video software and Auto-Tune, a tool to digitally distort voices, Alooshe spliced snippets of Gaddafi's speech with beats from American rappers T Pain and Pitbull's hit 'Hey Baby'. Within 24 hours he had uploaded the mash-up to YouTube. After just one week, the video had been viewed 2.7 million times.